After successfully launching her collection of sophisticated, contemporary kitchenware and cooler bags in Europe, Australian entrepreneur Jacquie Treagus is proud to be bringing her innovative brand, JSK (Just Smart Kitchenware) back home to where it was born. And she’s eager to showcase the best smart kitchenware offerings across the world on her soon-to-be-launched website as well as through Amazon Australia and other retailers. Jacquie specialises in smart kitchenware designed to carry food and drink stylishly and compactly both at home and on the go. At the forefront of the brand are her smart cooler bags and picnic baskets. With features including fold-flat collapsibility when empty and leak-proof technology, her chic, super-lightweight designs have already been well received across Europe – especially in countries like Italy, famed for its great sense of style. Her products embrace a life of freedom and effortless style, appealing to those seeking fashionable and functional ways to prepare and carry food – wherever they may be. Ideal for sporting events, festivals, picnics, work and travel. Besides her own collection, Jacquie is seeking other Australian and international smart kitchenware brands to showcase on JSK – unique, innovative products that can be tech smart, eco smart, space smart, travel smart or style smart. “The vision for Just Smart Kitchenware, is to become a place where you can find the smartest, newest kitchenware on the planet,” said Jacquie. “I have come across some awesome kitchen products, particularly ones being crowd funded, and would love to help the people behind them spread the word. Jacquie has already began working with other innovative brands including Grillight BBQ accessories and Australian company Glass on the Grass who design illuminated wine glass bases. Jacquie Treagus, 47, from Adelaide took the leap into entrepreneurism after making the decision to abandon her corporate career working as an IT Business Analyst and Project Manager in favour of a location-independent lifestyle rich in freedom and travel. She managed to travel around Australia and across the world while setting up her first business selling travel-friendly smart kitchenware such as collapsible silicone food containers suitable for preparing, cooking and storing food in compact spaces such as boats, caravans, mobile homes and camp sites. It was at a trade fair in Hong Kong in 2016 that she was inspired by the stylish smart cooler bags and picnic basket designs now featured in the JSK collection, along with her other smart kitchenware finds. She was determined to provide cooler bags with unique, unisex designs appealing to the style-conscious, travel-loving consumer. Jacquie explained: “I knew from already selling on Amazon that the majority of cooler bags and picnic baskets were either targeted towards the male population or they featured very bright colours – nothing that appealed to me. 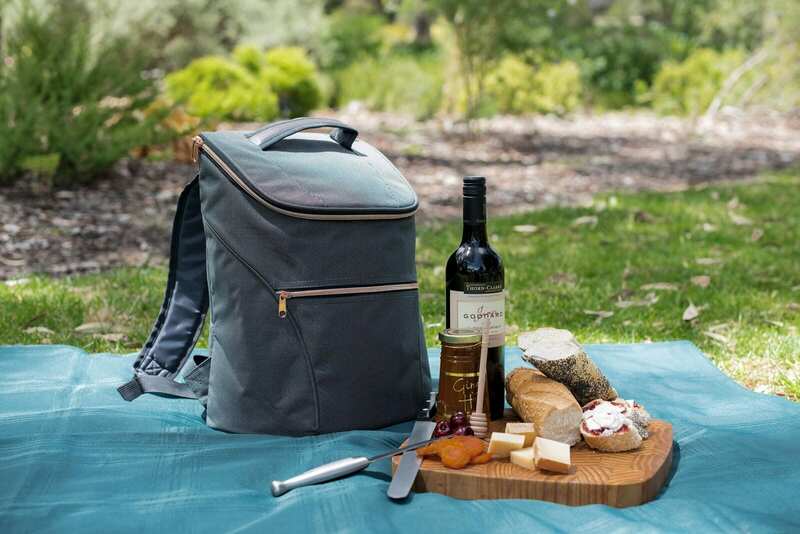 Jacquie is delighted to now be bringing the stylish cooler bags to Australia with plans to grow the range in the near future to include an array of other exciting smart kitchenware brands set to take the world by storm. To celebrate the Australian launch on December 1st, she has teamed up with Naked Wines to offer a free $100 wine voucher for any customer who places an order over $50 on www.justsmartkitchenware.com in the run up to Christmas.